Bangkok is usually the jumping off spot for epic backpacking adventures thanks to its great infrastructure, cheap drinks and accommodation, and awesome flight deals in and out of the city. There’s no better way to get an idea about the scale and sights of the city than from the rooftop bars and scenic spots across Bangkok. 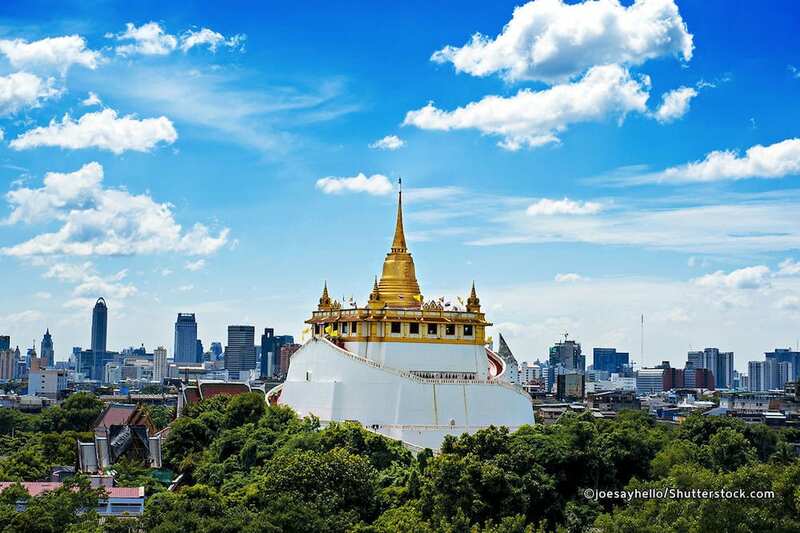 Read on to find out about the best views in Bangkok so you start off your trip in style! Wat Arun is an amazing destination to kill two birds with one stone: visiting a cultural site while also getting great views of the city. 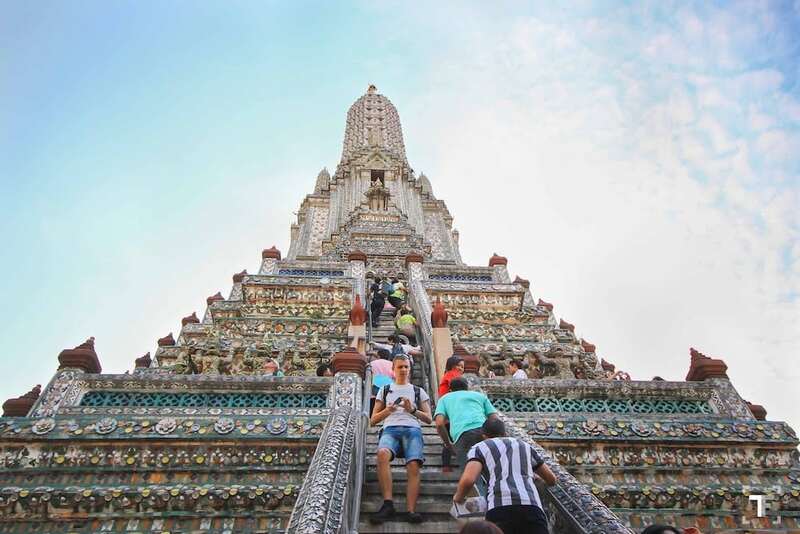 The pagodas of Wat Arun rise above the flat landscape of Bangkok allowing you to look out over the Chao Phraya River and the stunning Grand Palace. The steep temple steps are quite an effort in the searing midday heat, but the views will be worth it! If you want views of Wat Arun from the other side of the river, you’re best off heading to Roof, a rooftop bar that is perched on the top of Sala Ratanakosin Bangkok. This is a lovely spot to watch day turn to dusk with the temples of Wat Arun and Wat Pho being lit up when the sun sets and nighttimeriver cruise boats passing by. 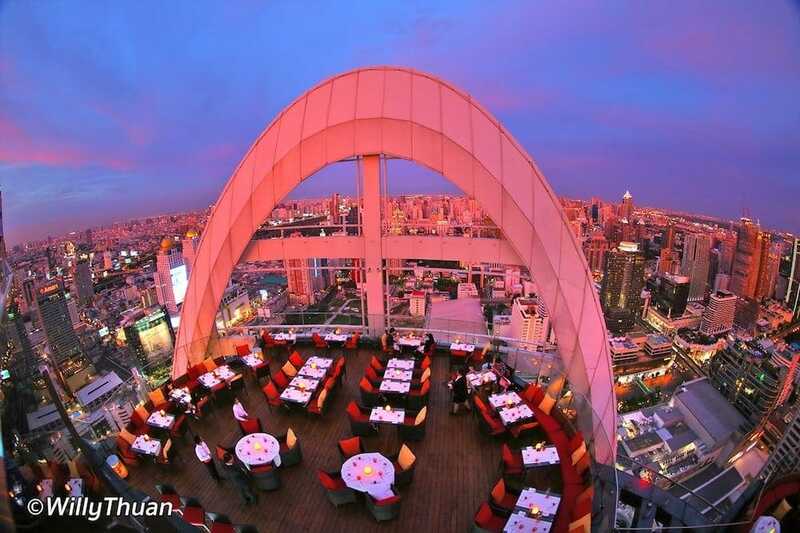 As the name suggests, this cool bar and restaurant in the Millennium Hilton Hotel offers 360 views across the city. Head up to ThreeSixty around sunset for gorgeous panoramic views of the sky changing colour. 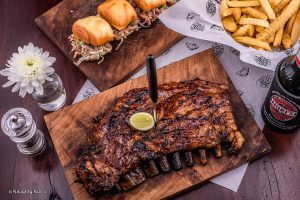 While dining here doesn’t exactly fit a backpacker budget it could be a great place for a blowout last meal at the end of your trip. Golden Mount is another Buddhist Temple with spectacular city views. 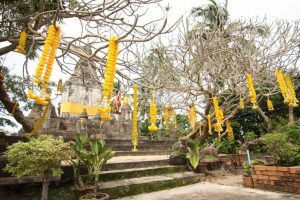 Located on a man-made hill in the historic part of town, Golden Mount aka Wat Saket allows you to witness the old and new of the city standing side by side from a great vantage point. Getting an awesome view doesn’t mean having to venture up high, so for those with a fear of heights a river cruise up and down the city is the perfect alternative. Spending a day hopping on and off a Chao Phraya River boat gives you the chance to get out of the main hub of the city and see everyone from bankers and brokers to florists and fishermen going about their day along the river banks. Another spot to live the high life in Bangkok is the swish bar near Lumphini, Park Society. 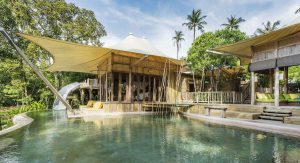 This bar offers outstanding views of the expansive Lumphini Park with its lush green spaces and serene lake which arguably look even better from above! Spend a tranquil afternoon roaming the park before getting up in the air for a sunset drink above. 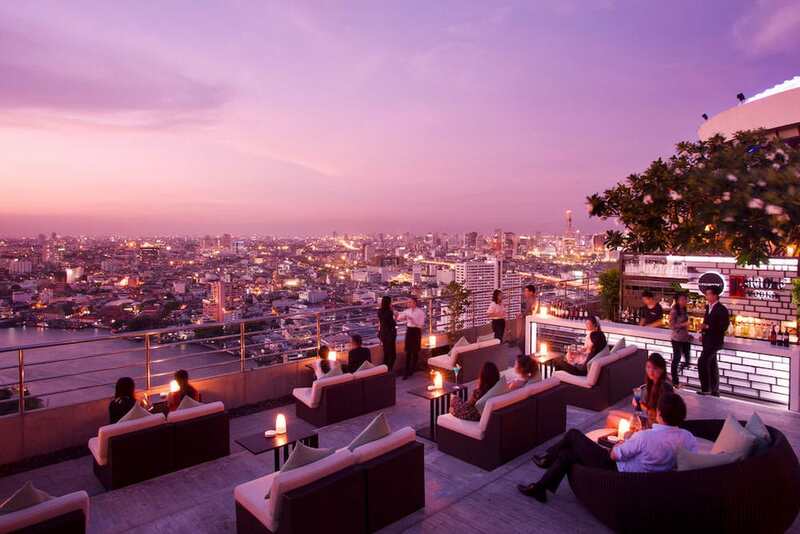 While Bangkok has many a sky bar, Red Sky is worth a special mention thanks to its open-air atmosphere and decent happy hour deals! Located on the 56th floor of the Centara Grand, Red Bar features classy and comfortable interiors and unparalled urban views of the city. Make sure you visit on a dry day to make the most of the open top and between 4-6pm for the best prices. Another place where you can keep your feet firmly on the ground and still see decent views of the city is Benjakiti Park in the Sukhumvit area. This park has tranquil green spaces and Lake Ratchada standing next to Bangkok’s high-rise buildings. Benjakiti has separate jogging and cycle lanes that wind their way through the park so there’s no excuse not to come and see the views. 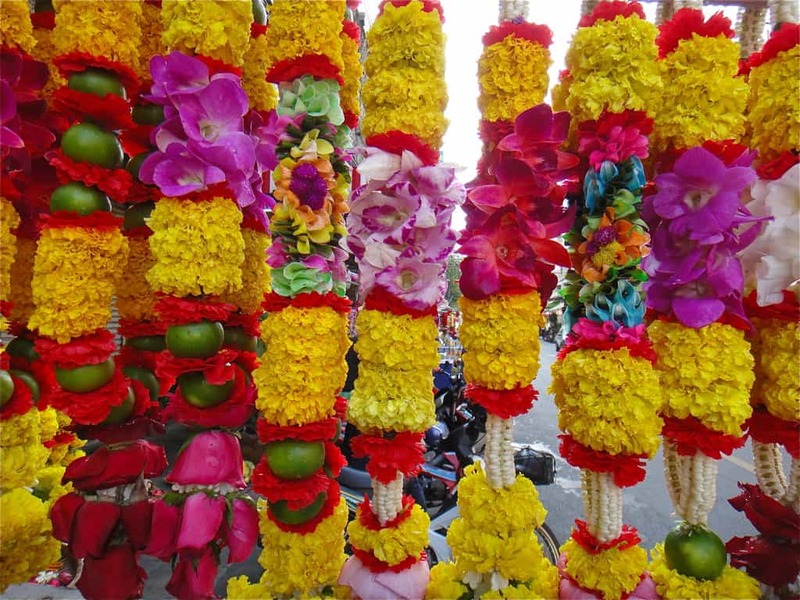 Phuang Malai: What Do These Flower Garlands Mean?